Craving some dream pop in your diet?? Then look no further than Canadian duo SolarSolar. 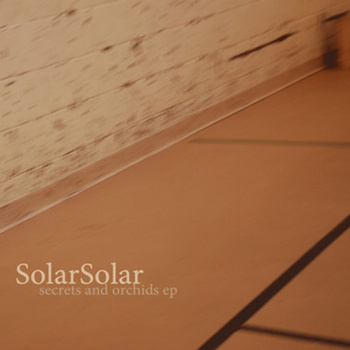 They contacted us the other day and sent us a link to their bandcamp page with their latest EP 'Secrets and Orchids' and I am mightily impressed! Beautiful dreamwave, down-tempo electronic music with lovely female vocals that soothe the soul. Every track on the EP is exquisite! The best part is you can get the EP for whatever price you choose, including free! Sounds like a deal to me... Head on over to their bandcamp page I linked above and download this baby pronto!